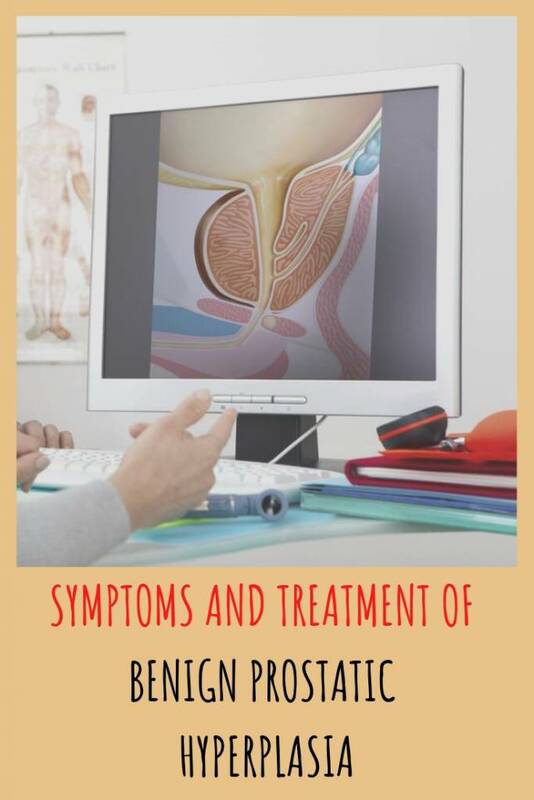 Benign prostatic hyperplasia is a very common pathology in middle-aged men. Early diagnosis is necessary in order to establish an adequate treatment. Benign prostatic hyperplasia is the medical term that refers to the increase in the size of the prostate in men above normal values. It is very important to differentiate if it is a benign hyperplasia, that is, when the gland has only grown and there is no alteration in its function, except for the possible compression that this organ can exert on other structures. In contrast, malignant prostate hyperplasia refers to carcinoma in situ. In addition, the age of the patient is a key factor to consider. This is due to the size of the prostate is not always the same. The gland increases in size in men over 40 years. For this reason, any man over this age who presents symptoms of prostatic compression should see the doctor to confirm that it is a hyperplasia and study it in depth. How is benign prostatic hyperplasia manifested? Benign prostatic hyperplasia produces an annoying compression of the adjacent organs. There are a number of signs and symptoms common to all prostate hyperplasia. However, when it comes to a malignant pathology such as prostate cancer, there are some peculiarities that make it easier to diagnose, and for this reason we will see them in the following section. Presence of blood in urine: the name of this sign is hematuria. Need to urinate very often and in small amounts (more usual at night). Sensation of incomplete emptying of bladder after urination. Irregular urine flow during urination with interruptions or drips. Feeling of urgency to urinate. These signs and symptoms can be confused with those of the urine infection. That is why it is so important to go to the medical center to consult it, whatever the pathology. First of all, the patient’s symptomatology and clinical history must be taken into account. As we have said before, if it is a middle-aged male, screening for prostate cancer should be done. This is especially relevant if there is a personal or family history of prostate cancer or any other type of cancer. Next, the doctor should perform a complete physical examination including a digital rectal exam. During the touch, the different abnormalities in the size of the prostate can be seen. There is a simple test at the time of establishing the diagnosis: prostate-specific antigen (PSA). This substance is a marker that a blood test can confirm. In this way we avoid subjecting the patient to more uncomfortable or expensive tests if it is not necessary. It can also be accompanied by an image test. The use of ultrasound during ultrasound is always the first option. Other imaging tests may offer better resolution. But, being the genital region, it can emit radiation that affects the fertility of man. That’s why ultrasound is preferred. What is the treatment of benign prostatic hyperplasia? The treatment depends on the nature of the hyperplasia: benign or malignant? The treatment for this pathology depends on the nature of the hyperplasia. When it comes to a benign process, it is simply necessary to correct the compression that the prostate exerts on other structures, given that the symptoms affect the patient’s psychological state very frequently. Urinary incontinence in middle-aged men is one of the most frequent reasons for consultation in the field of urology. Drugs in the earliest stages can help with this. On the other hand, if the size of the gland is considerable, resection surgery could help to eliminate the excess tissue. Another option is to widen the urethra to facilitate urination or laser surgery. However, resection surgery is the most frequent option because it is easy to perform and offer good results. If it is malignant hyperplasia, it is necessary to study the patient in more detail to take biopsies, see what type of cancer it is, what stage it is in, look for metastases in other areas (it usually debuts with involvement of bones), etc. Often the patient has to be referred for an adjuvant study in oncology. Don’t forget to SHARE the symptoms and treatment methods for benign prostatic hyperplasia with your friends and family on your social networks!